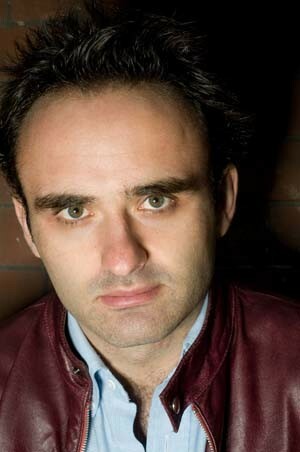 Paul T.Eyres began his stand-up comedy career in 2005, and has since performed 100's of gigs around the UK and abroad. Performing at such clubs as Jongleurs, The Comedy Store and London"s Comedy Cafe, his very energetic, highly interactive and yet slightly surreal brand of humour is starting to create a real buzz around the comedy circuit. A keen internationalist with a take no prisoners attitude, this middle class rebel is frequently in demand as a compere as well as an act, appearing regularly at London"s Comedy Cafe: see clip below, taken from an award winning set in 2006, back when he had short hair. Before beginning stand-up, Paul wrote and directed short film comedies, most notably Officide, Winning Best Film at the 2000 Shots in the Dark International Film Festival. A lively and creative mind, he went on to write comedy material for Channel 4 in 2000 and BBC in 2002 before finding his true niche as a performer in 2005. Clearly destined for big things, Paul is shooting a feature this year and will be appearing in this year"s Edinburgh festival. Catch him now before he"s expensive!